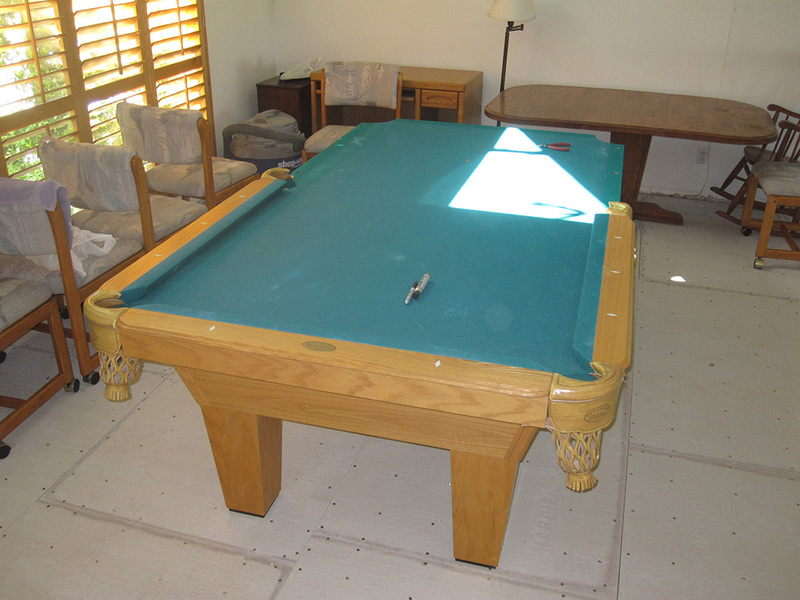 We started this job in Anaheim, CA last week. 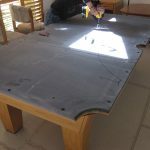 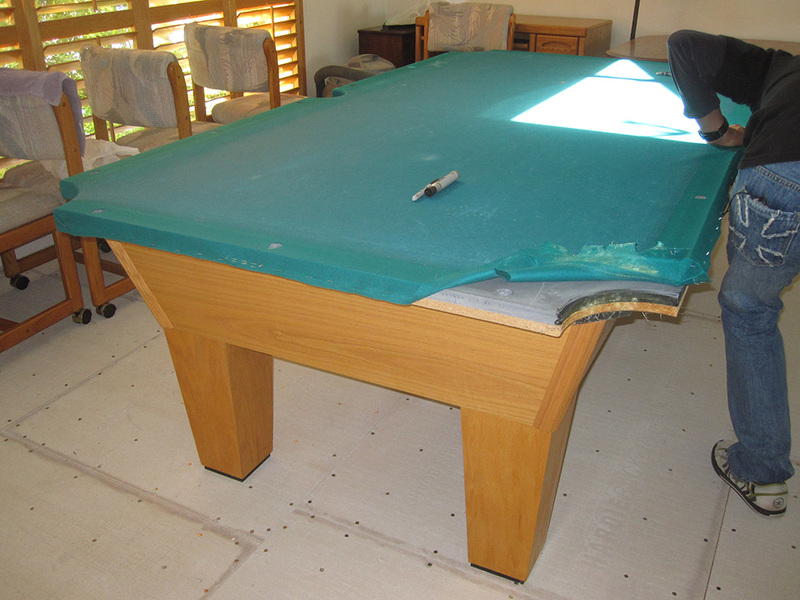 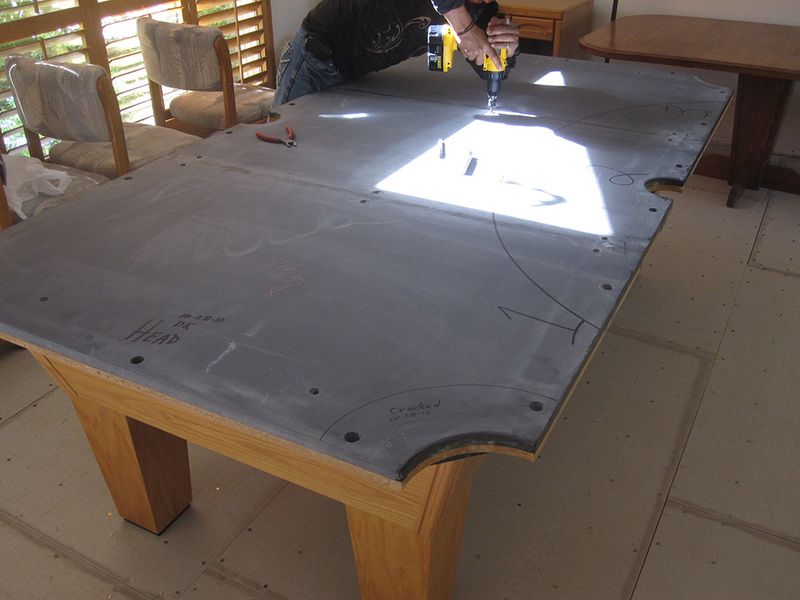 Our client is replacing the flooring in his house, unfortunately we were surprised to find out that the foolish flooring guys moved this 8′ Olhausen pool table without telling the homeowner. 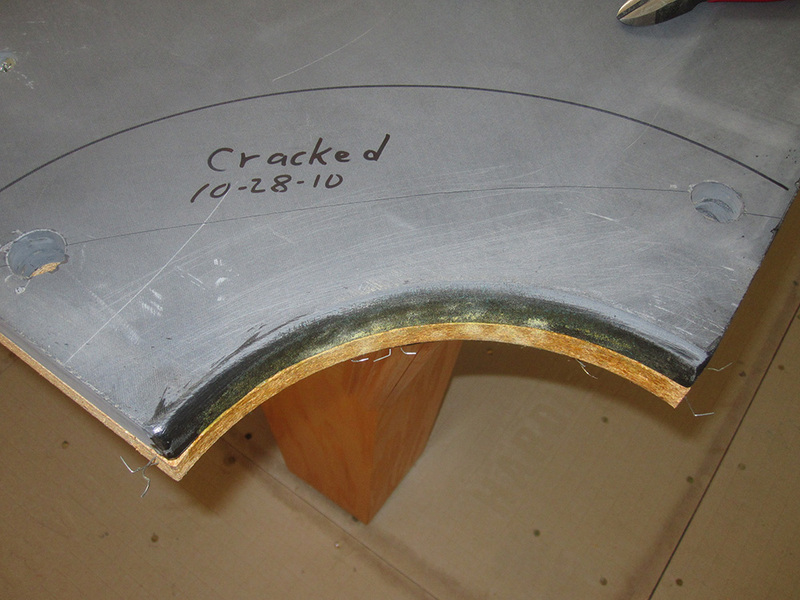 I think they were trying to help, but what they actually did was crack the slate on both ends the table. 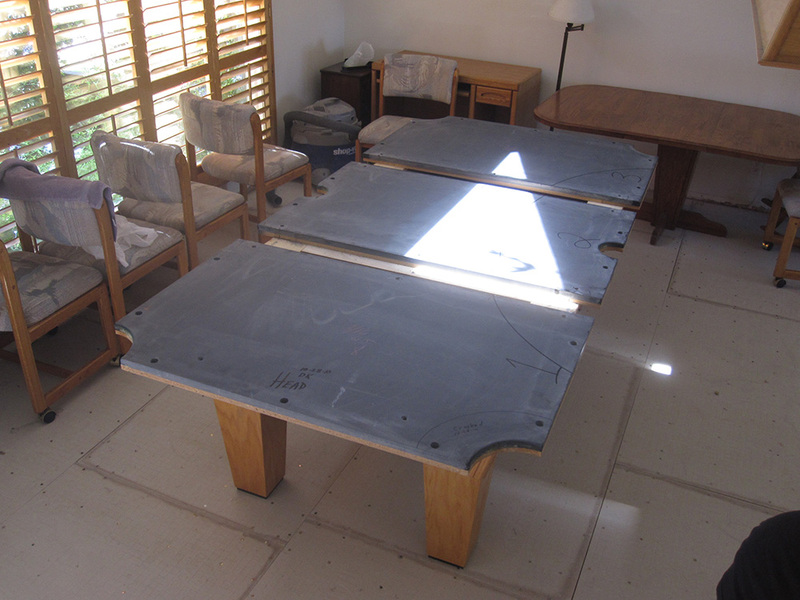 Even though they claimed to “gently” move the table “only” a few feet, the damage was done! 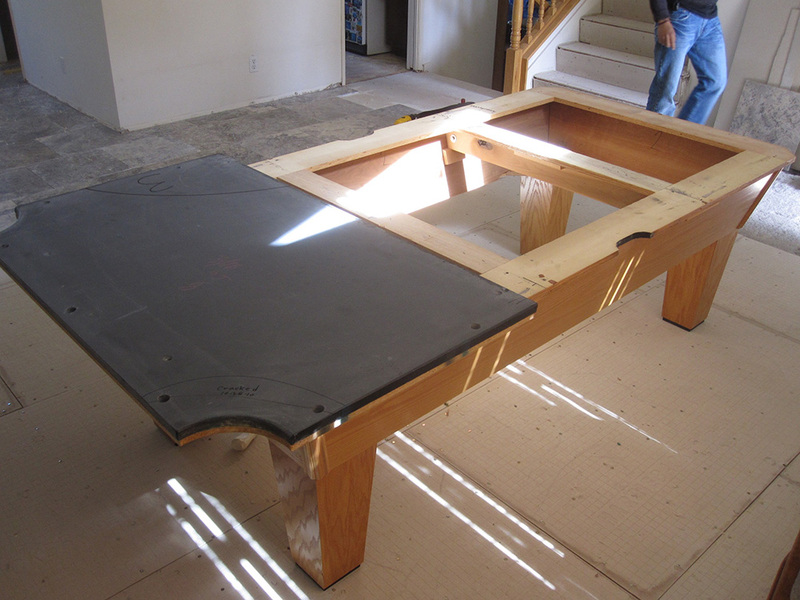 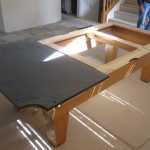 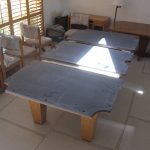 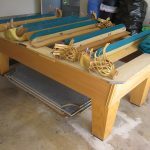 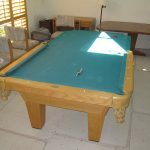 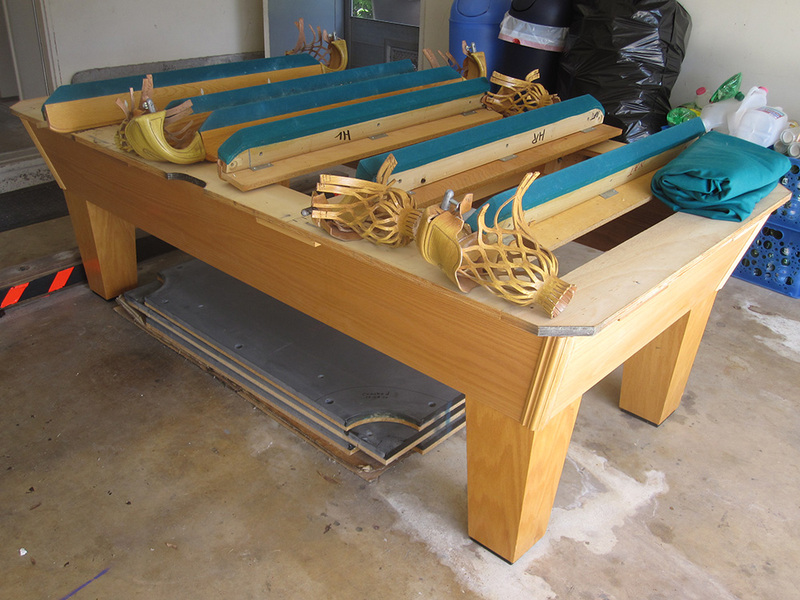 The pictures I took show the proper way to move a slate pool table without causing damage. 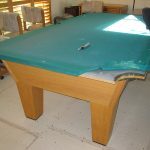 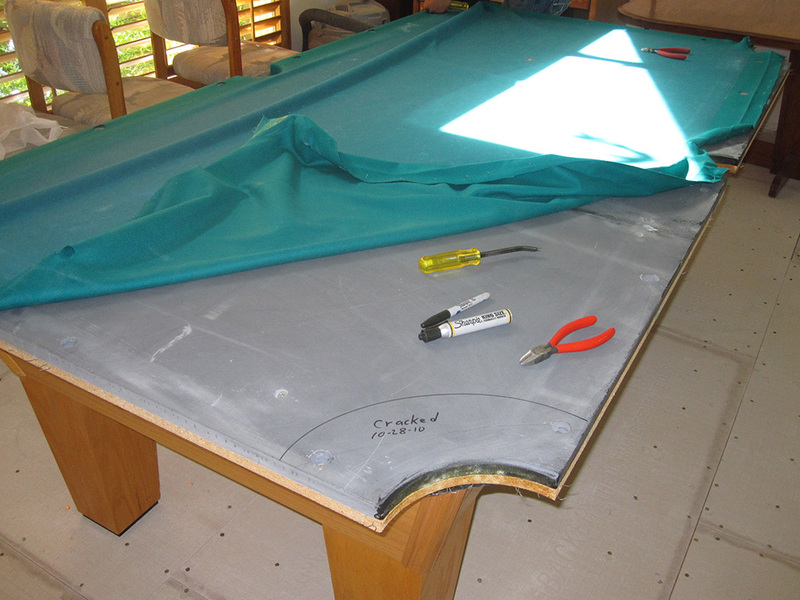 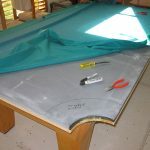 Fortunately for this pool table, the slates have a wood “slate liner” which kept the two cracked corners from completely breaking off. 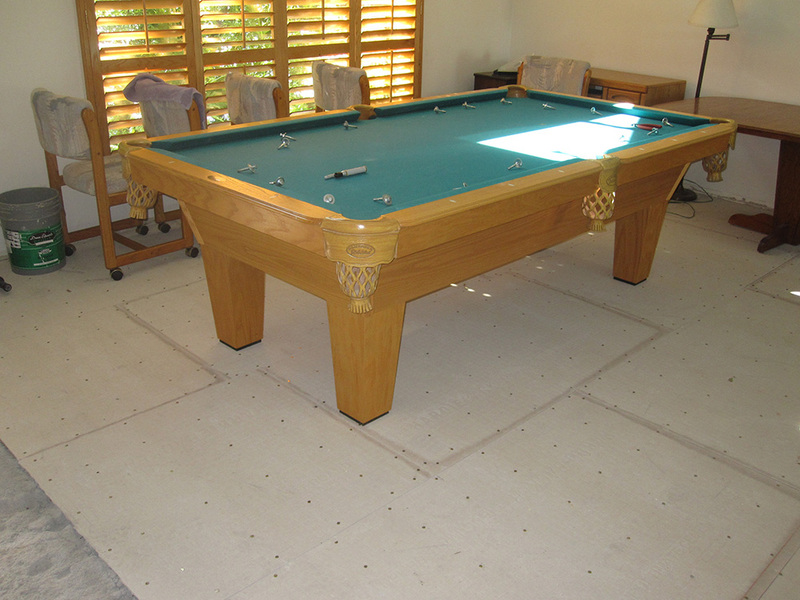 When we go back to finish the second leg of this new flooring move, we’ll also be replacing the ten year old felt with brand new Mali 10820-f Standard Green felt. 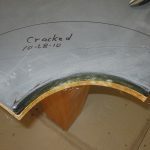 I’ll also be repairing the two cracks.